As part of Quicken's separation from Intuit, we're moving from Intuit's authentication service (Intuit ID) to our new, secure, Quicken service (Quicken ID). Over the next 60 days, beginning 7/10, you'll receive a product update that will require you to create a new Quicken ID and password to continue using Quicken. All supported Quicken products will have this product update available on or before 9/30/17. You must update to the new patches and create a Quicken ID in order to maintain access to your previous Quicken purchases. 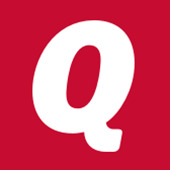 You'll use your new Quicken ID to access all Quicken applications, including Quicken for Windows, Quicken for Mac, Quicken Mobile, and Quicken.com. Windows: Click the One Step Update Button and install any available update. Mac: Install any update prompts you see when Quicken starts. To receive notifications when these patch releases are available for your version of Quicken, please 'follow' this announcement. Who will this email come from? The critical update patch (R5) for Quicken Canada 2016 for Windows is now in staged release to some users. If there are no issues, it will go out to all Canada 2016 users early next week. If you use Quicken Canada 2016 and haven't yet been prompted to update Quicken, just try again next week, or wait for confirmation that release is live by following this community thread. UPDATE 8/30/17: the original announcement had a date of 8/30/17 for all of the patch releases to be launched, however, we are still completing internal testing. When these patches are available, updates will be posted as a reply to this announcement. Please note: the later patches also include this process for users that haven't yet updated, so they will all say "Critical Release" - however, if you have already updated and created your Quicken ID, you're all set; while you should install patch updates as they are released, you will not need to create your Quicken ID again.